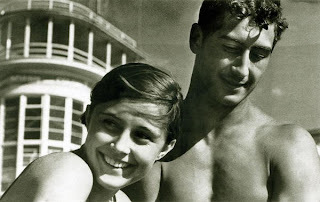 Boris Ignatovich was a Constructivist artist, one of the pioneers of Soviet photo. He was great in using tilted aerial perspectives and extreme foreshortening. Like most of the Constructivists, Ignatovich was an enthusiast Communist and depicted the radical changes that took place after the Bolshevic Revolution. 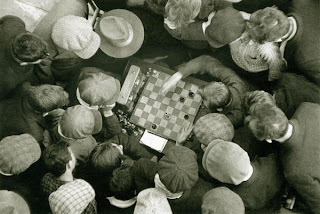 Only his photographs were witnessing such a huge talent, with their unexpected angles, their choices for framing, the view they offer, that he began to be considered too non-conformist, too far from the orthodoxy of the Socialist Realism; he was even expelled for a period from the Communist Party. Boris Ignatovich, born in Lutsk, Ukraine in 1899, was a Soviet photographer and a member of the Russian avant-garde movement. Ignatovich began his career in 1918, first working as a journalist and a newspaper editor before taking up photography in 1923. In the early 1920s he worked for a number of publications, most notably, Bednota (Poverty), Krasnaya Niva (Red Field) and Ogonyok. 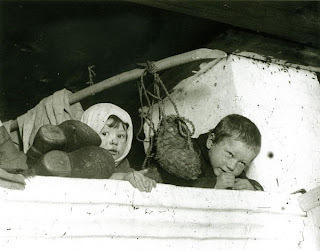 Ignatovich's first photographic success was a documentary series about villagers in the Ramenskoe’s Workers’ settlement, which coincided with the first 5-year plan after Stalin's victory. Ignatovich tried to alter the traditional format of documentary photography by using very low and very high unconventional angles, developing new perspectives, and including birds-eye constructions, which rendered the landscape as an abstract composition. In 1926 Ignatovich participated at the exhibition of the Association of Moscow Photo-Correspondents, and later became one of its leaders. In 1927, he photographed power plants and factories for Bednota and developed close association with Alexander Rodchenko, as they photographed for Dajosch together. Ignatovich’s famous photo stories also included the first American tractors in the USSR and aerial photographs of Leningrad and Moscow. In 1928, Ignatovich participated in the exhibition 10 Years of Soviet Photography, in Moscow and Leningrad, which was organized by the State Academy of Artistic Sciences. Due to his companionship with Rodchenko, Ignatovich was greatly influenced by his style and unconventional techniques. Both became members of the distinguished Oktiabr, the October group, which was a union of artists, architects, film directors, and photographers. In February of 1930, a photographic section of the October group was organized. Rodchenko was the head of the section and wrote its program. Other members include Dmitrii Debabov; Boris, Ol'ga, and Elizaveta Ignatovich; Vladimir Griuntal'; Roman Karmen; Eleazar Langman; Moriakin; Abram Shterenberg; and Vitalii Zhemchuzhnyi. The October group, whose styles favored fragmentary techniques and the distortion of images in an avant-garde manner, captured the idea of a world in dynamic form and rhythms. First general October exhibition opened at Gorky Park, a park of culture and rest named after Gorky in Moscow. The photography section, organized by Rodchenko and Stepanova, includes the magazine Radioslushatel, designed by Stepanova and illustrated with photographs by Griuntal, Ignatovich, and Rodchenko. 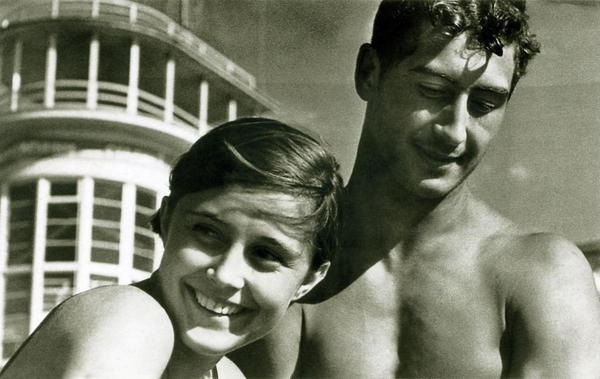 When Rodchenko was expelled from the October group for his formalist photography, Ignatovich took over as head of the photographic section of the group until the group was dissolved in 1932 by governmental decree. Apart from October, Ignatovich worked on documentary films from 1930 to 1932. As a movie cameraman, Ignatovich worked on the first sound film, Olympiada of the Arts. After 1932 he began to pioneer ideas such as the theory of collectivism in photojournalism at the Soyuzfoto agency where he developed specific rules and laws of photography, so much so that the photographers working under him were obliged to follow and jointly credit their work to Ignatovich by signing their photographs “Ignatovich Brigade.” Ignatovich participated in1935 Exhibition of the Work of the Masters of Soviet Photography as well as the All-Union Exhibition of Soviet photography at the State Pushkin Museum in 1937. During the 1930s, Ignatovich also contributed photographs to the USSR In Construction, and in 1941, worked as a war photo correspondent on the front. After the War, Ignatovich concentrated on landscape and portraiture, experimenting with the use of symbols, picture captions, and ideas of collectivism, particularly at the Soyuzfoto agency where he continued to work as a photojournalist until he died in 1976.